Eurasia Press & News » Has Turkish President Erdoğan Distanced Himself from the Muslim Brotherhood? 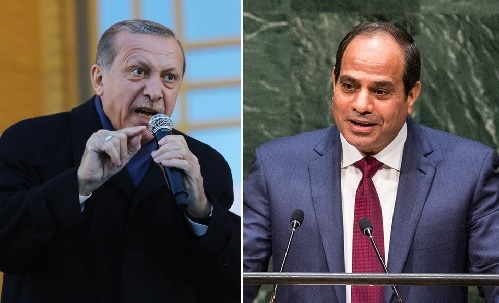 Comments Off on Has Turkish President Erdoğan Distanced Himself from the Muslim Brotherhood? "According to Turkish law, the foreign individual was sent back to his country with inadmissible passenger (INAD) status ... There wasn't any notice by the individual to airport staff or police force about an international asylum request, there is no information whether he is on trial in Egypt or any other country." On February 5, apparently panicked by the political repercussions of what would normally be a simple deportation, the governor’s office released a new statement saying that eight police officers working for Turkey’s passport control office were suspended, pending an investigation. That confirms that Hussein was not “politically extradited to Egypt”. According to the Syrian journalist based In Turkey, Hüsnü Mahalli, “most influential Brotherhood members in the world reside in Turkey.” Mahalli says there are 2,000 Brotherhood media members in Turkey, 10 television stations and several radio stations. Altogether, Mahalli says, there are more than 5,000 Ikhwan members given refuge in Turkey thanks to Turkish and Qatari money.